How To Act Properly During Trailer Emergencies? 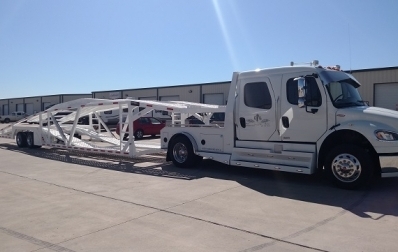 Trailer emergencies are not uncommon for those who are associated with the business of hauling in Texas. Sometimes, professional haulers have to face situations when an accident seems like the most likely outcome. However, there are ways to avert mishaps for all kinds of trailer emergencies, be it mechanical failure, natural calamity or bad road conditions. Overheated wheel bearings, blown off tire or dislocated wheel - The entire towing setup should be slowed down gradually and then moved to the roadside. One or more loaded cars begin to shift - The tow vehicle must be pulled over at someplace that is safe and has good visibility, for loading the cars back. Assistance must be sought if the problem is serious. Excessive swaying of the trailer - If there is an electronic brake controller present, the manual override on it has to be applied for accelerating cautiously out of sway. Wind buffeting - A consistent speed has to be maintained until swaying ceases and the trailer becomes straight again. Forceful steering or braking must be avoided. The next step towards dealing with trailer emergencies involves assessment of any damage caused. First, the towing setup must be moved away from the road. After that, the driver has to get down and approach the trailer with caution, as the loaded cars might have become loose and can come off suddenly. In case a spark or flame is encountered, the driver should distance himself from both the trailer & tow vehicle, and then contact emergency services. If an accident has occurred and there are insurance claims to be made for property damage or personal injury, it is important to get in touch with relevant authorities as soon as possible. Alternatively, in case any mishap has not taken place, the trailer as well as tow vehicle should be taken to experts for thorough inspection. Any minor damage that might have occurred would be repaired by the professionals so as to prevent problems in future. Liked this post? Keep watching our blog space for more and don’t forget to share. 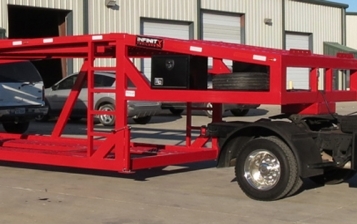 Infinity Trailers is a family owned business manufacturing and distributing open multiple car hauling trailers in Texas. 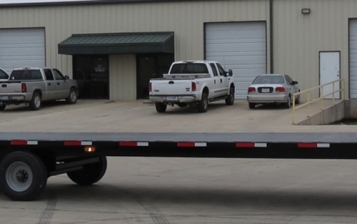 We offer 4 car, 5 car and 6 car hauling trailers.